Ah. Sumer is ending and fall is quickly approaching. The heat has lifted a little here in the South and we are getting cooler weather. My air conditioning hasn’t turned on very often lately. I like it. Before the summer slips by for the next 9 months, I wanted to make these delicious summer rolls. They are a light meal that I don’t mind over indulging. And super easy to make. I love that it is a lot of fresh vegetables. 1. 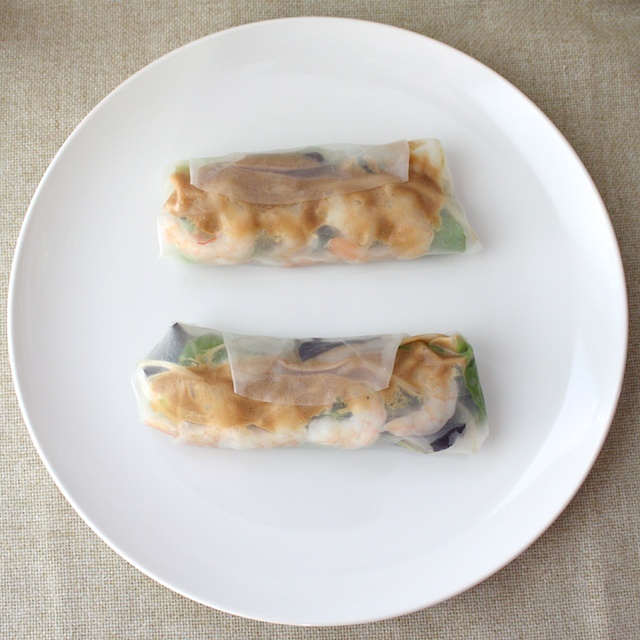 Follow package instructions on how to soften the spring roll wraps. I soak mine in water for about a minute in a plate then carefully remove them because they rip easily. 2. Like wrapping a burrito, place all your ingredients on the spring roll wrap and fold over first the bottom, then the two sides and roll. » Tell me… Have you ever had summer rolls before? Do you like them? Oh this is perfect. I am now packing lunches for my hubby and running out of ideas. Thank you! Tiffany! Those look heavenly! I’m sure low carb too right? I will definitely be trying this! We love them but we use rice noodles instead of bean sprouts and cilianto instead of avocado. Also we use the peanut sauce to dip it. 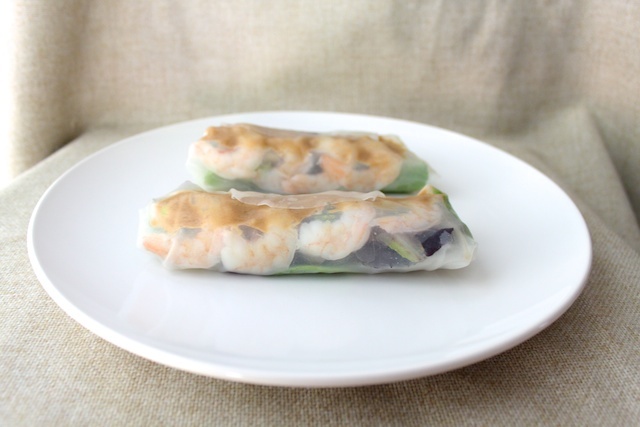 I have never had summer rolls… but these look amazing! The peanut sauce and avocado alone had me drooling. Thank you for sharing, I like introducing new recipes to my family.